In the sermon we spent some time looking at what it means to fear God (Psalm 111:10); what does it mean and why is it important for us to have a proper understanding of that? What does it mean to make the most of every opportunity, and also what does it not mean? Discuss verse 6 as a group and talk through how we might practically apply to our lives here and now. Sunday: This prayer letter concentrates on the aftermath of the terrible mudslide. S.L.M. and F.S.L. sent money to Sierra Leone where Magnus and Daniel have distributed the funds. Please pray for discrimination and wisdom for the leaders in S.L. as they carry out this ministry. The prayer points have been copied from emails from S.L. Monday: Fina Koroma: Fina is around 26 years who survived the mudslide because her 5year old child was admitted to the hospital the day before the slide. Her husband, 3 other children and 3 other relatives all were covered by the landslide. One of the people that died was her younger brother who was due to travel that very afternoon before the disaster after a two weeks holiday from the interior. Fina is currently very depressed and confused. I prayed for her and encouraged her to trust in Jesus. She is a Christian and she is currently living in an unfinished Church building. Tuesday: Paul S Turay; He is 22 years and lived with his sister. They were 9 in the small Aluminium Sheet built hut. All but Paul were buried under the mud. He is now staying on the veranda of a community member. He says he will continue to attend school in the next week. He looks strong but has a lot of sadness in his eyes and is likely in shock for now. Wednesday: Mamy Sama Conteh is a mother of 11 children. She had lost 8 in the course of time, and the one who was the breadwinner called Neneh, whom she was staying with, died in the mudslide. They were ‘stone miners’ and the old woman was saved because she left home very early in the morning under heavy rainfall to visit her friend. As soon as she left, the mud buried her entire household. What pain for this 65-70 year old Mamy. Thursday: Daniel Kamara is the young boy (10yrs) whom the flash flood dashed through stones and trees into a banana tree, which was uprooted by the wild waters, and left him with a broken leg and arm. He was rescued and taken to hospital. His left foot was amputated and his right arm is being treated. His situation is serious. He was crying when I visited – He is suffering pain – This poor little boy. He managed to say thank you for the package of monies. We should continue to pray for him -poor Daniel. Lest I forget his father, who is a taxi driver, survived because he had left for his taxi driving and did not know that Daniel was alive until after 20 days. He was shocked to hear that. This donation will help a lot to pay for the hospital treatment. Friday: Fina Koroma is a trader who had a little shop. The mudslide covered her shop and three other people. She thinks all is lost. She burst into tears when I considered her situation and decided to extend this blessing to her. Le 500,000 is very crucial for her to continue her business. Saturday: I am sending a testimony of a pregnant woman a survivor, whose husband died in the morning of the landslide. As they were escaping from the disaster the woman and the child were in the front followed by the father. As they ran a huge stone knocked the man from the back. He was rushed to the hospital where he later died. Only the two of them survived plus the baby to be born without a father. 1. Paul’s epistles follow the pattern of laying down doctrine and reminding the readers of who they are in Christ before stressing the importance of those facts making a difference to their lives.Why is that so important? Discuss the benefits of living our lives in a way that reflects our faith and the damage that can result when our words or actions fail to match what we say we believe? 2. Paul asks for prayer so that a door would be opened for the message. What doors should we be asking to be opened in our lives and the life of the church? 3. The church in Colosse was facing opposition and false teaching from both outside and inside the church. The need for clear Bible based teaching was vital. The church today faces similar threats. How can we best pray for those with the responsibility of preaching today? 4. Discuss the elements of being on God’s SWAT team in prayer. What does it mean to be steadfast, watchful and to pray with thanksgiving? 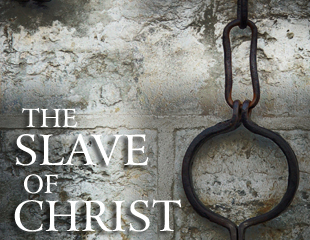 Why Should We Slave For Christ? If you missed the sermon, please do pick it up here: Slaving Away For Christ! What do we know about slavery now and back in the time Paul was writing, and why didn’t the early church protest and try to change laws to stop slavery? What is the context of this passage? [ cf.There is a verse chapter 3 that Paul is ‘unpacking’]. Which groups of people might verse 4:1 apply to in our society today, and how might we spot the difference between a believer and an unbeliever in each case. Turn back to verse 3:25 In the sermon we didn’t have time to ‘unpack’ this – as a group discuss who Paul was addressing in this statement and what exactly was meant.